Anne Delano Steinert loves her neighborhood enough to make people want to care about preserving it. 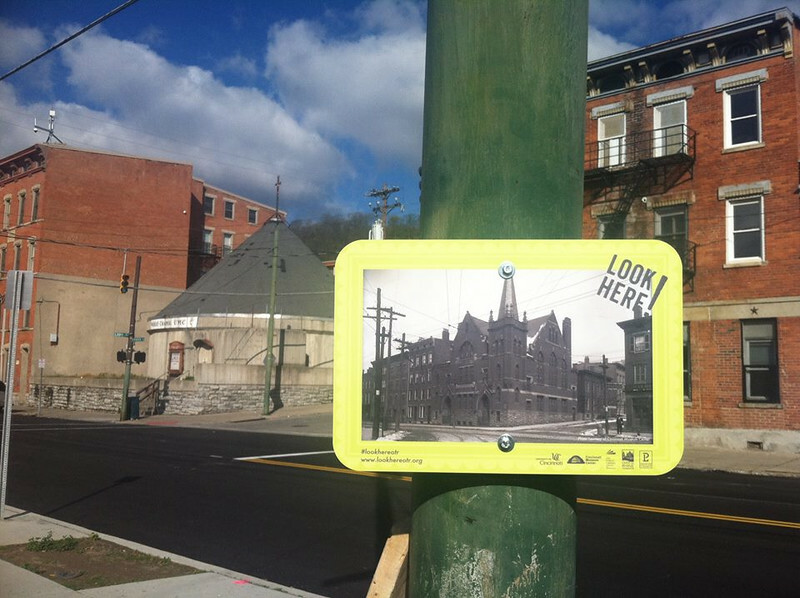 She created Look Here!, an outdoor public history exhibition, to inspire others to have conversations about the historical significance of their neighborhood as well as preserve the physical attributes that makes the neighborhood a special place. 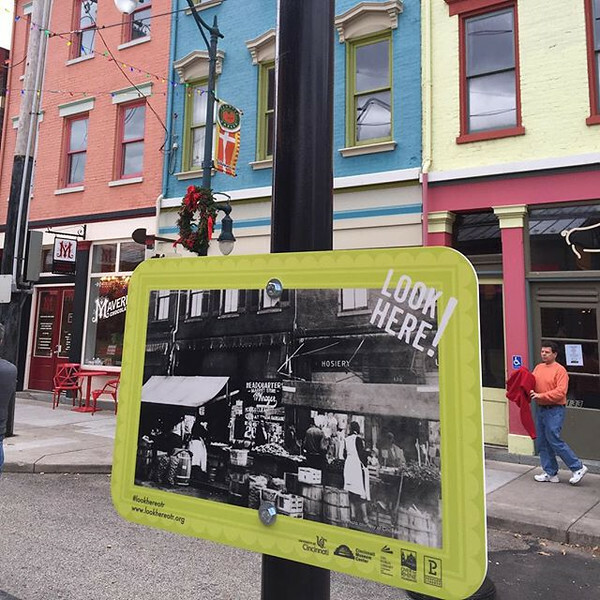 The structure of the project is quite simple; historical images of Cincinnati’s Over-The-Rhine neighborhood are mounted on existing street sign poles in exactly the same position in which they were taken. The result is a unique before-and-after perspective of a place that produces an interactive, analog experience in an increasingly digital world. Although it is relatively easy for people to find pictures online in a quest to appreciate how the historical context of a place has evolved over time, one would generally need sufficient motivation to spend hours in front of a computer researching various databases to access a comprehensive catalogue of images. By eliminating these technological barriers, Look Here! 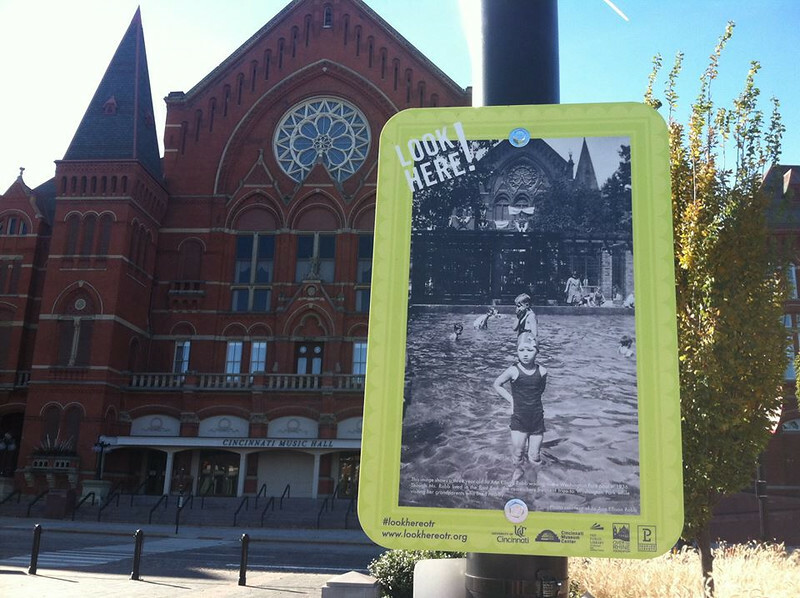 provides an instantaneous and impulsive excuse for a person walking down the street to pause from their daily life and consider the importance of historical preservation.